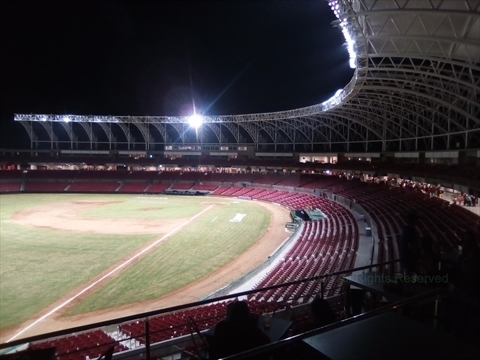 The Teodoro Mariscal Stadium is the main stadium in Mazatlán. 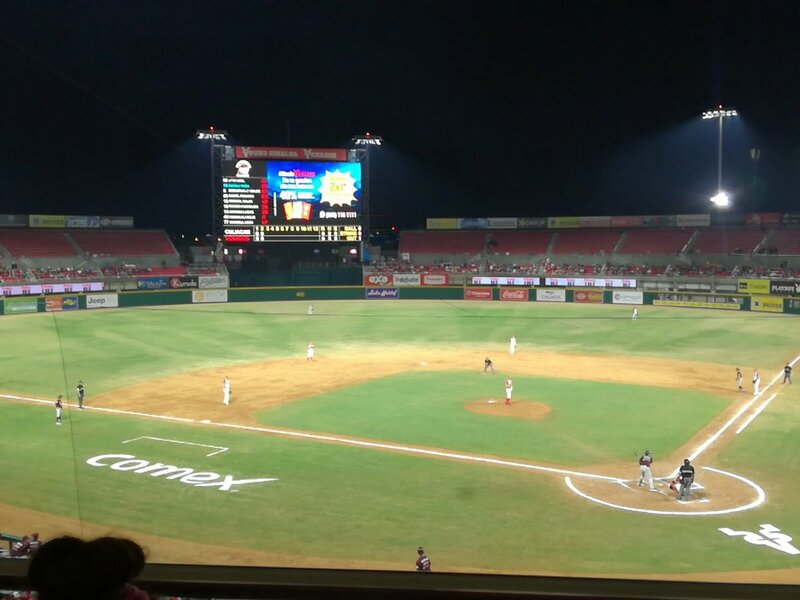 Baseball games and concerts are held at the stadium. The stadium was built in 1962, then updated in 2000. In 2017-2018, a major renovation/rebuild of the stadium has taken place. This renovation was supposed to be finished by September 2018, but they are still finishing the outside and roof as of January 2019. 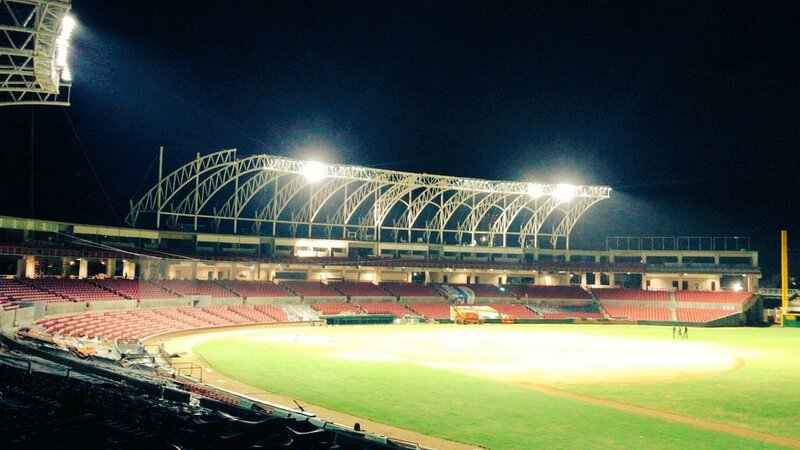 The 300 million peso rebuild is intended to bring it up to MLB standards and increase the capacity to 16000. 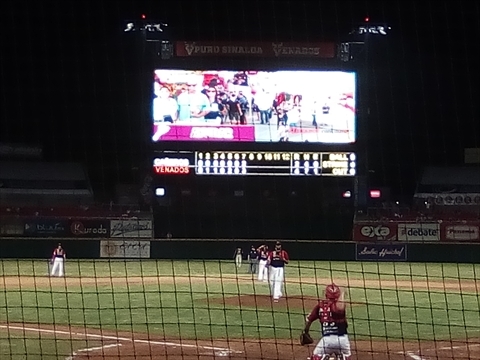 They are going to construct a clubhouse, museum of the Venados baseball team, commercial spaces, and a fitness centre, expand the grandstands, bullpen, battter's box, and parking lot. Then they are going to replace the seats, build 2 restaurants and some boxes. 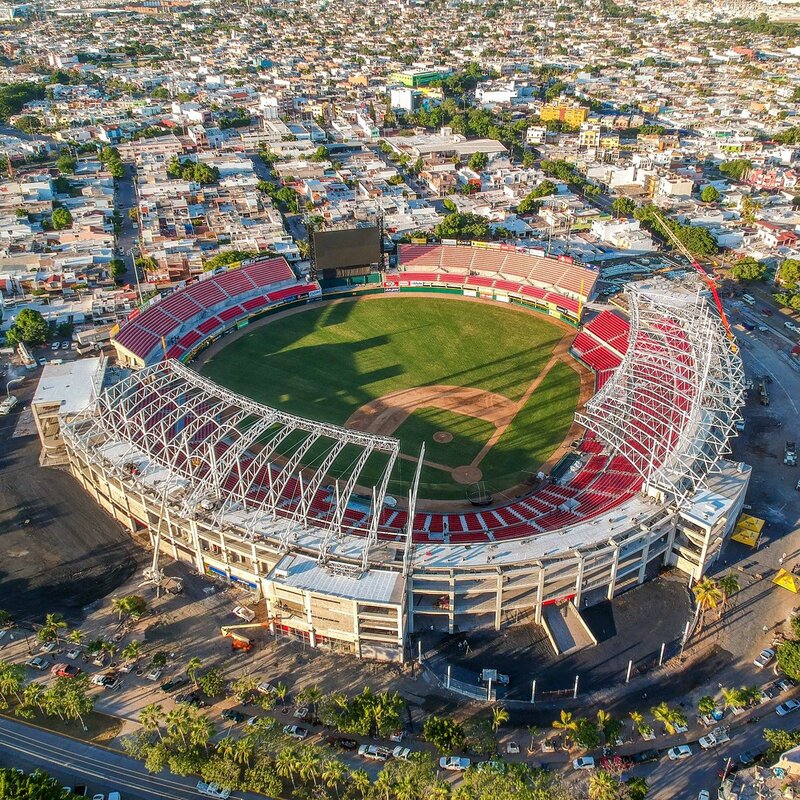 The largest coronations and concerts for Mazatlán Carnival take place at this stadium. Click here for more information about Carnival in Mazatlán. January 2019 Update: The new stadium is beautiful. The entire stadium has been re-built. It has a large giant screen. There is a food concourse with many food offerings including poutine, 2 big restaurants on the 3rd level overlooking the field, and many suites. They are still working on the outside and roof of the stadium. 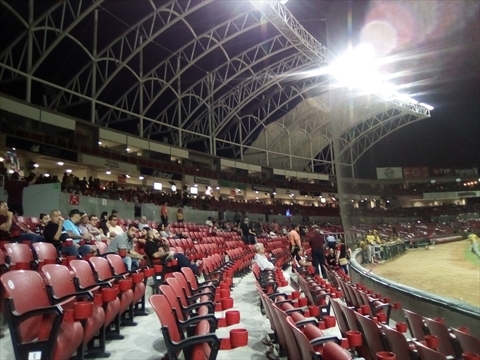 Where is the Teodoro Mariscal Stadium in Mazatlán? The Teodoro Mariscal Stadium is located in the "Estadio" (Stadium) neighbourhood in Mazatlán. This is about 2 blocks in from the Malecon and 2 blocks south of the Fiestaland (castle) at the south end of the Malecon. 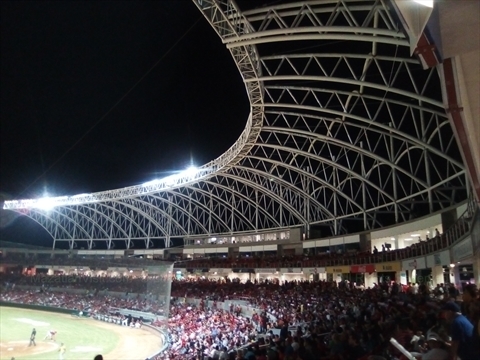 What is the address of the Teodoro Mariscal Stadium in Mazatlán? The address of the Teodoro Mariscal Stadium is: Calle Justo Sierra, Estadio, Mazatlán, Sinaloa, Mexico, 82140. How to get to the Teodoro Mariscal Stadium in Mazatlán? You can get to the Teodoro Mariscal Stadium a number of ways. You can drive, but there is limited parking near the stadium. You can walk to the stadium from the Golden Zone. It is about a 15 minute walk from Fiestaland (castle) to the stadium. Walk south on the Malecon for 2 lights then turn left for 2 blocks then right for 2 blocks and you are at the stadium. You can take the Sabalo Centro bus heading south to get to the 2nd set of lights on the Malecon south of Fiestaland, then walk to the stadium. The other option is to take a pulmonia or taxi directly to the stadium. They can drop you off right in front of the main entrance. Where to park at Teodoro Mariscal Stadium in Mazatlán? We are not aware of any parking at the stadium now with the construction still continuing. There is very limited parking in the neighbourhoods next to the stadium. We would recommend that you take a pulmonia/taxi or walk to the stadium.